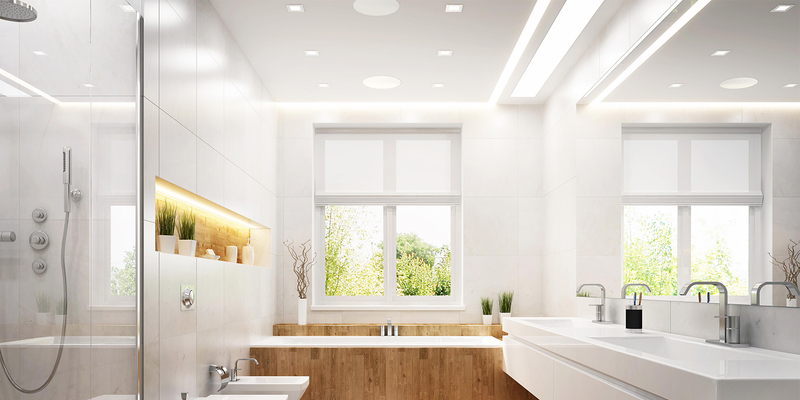 Imagine hearing crystal clear audio while you're relaxing in the bath! 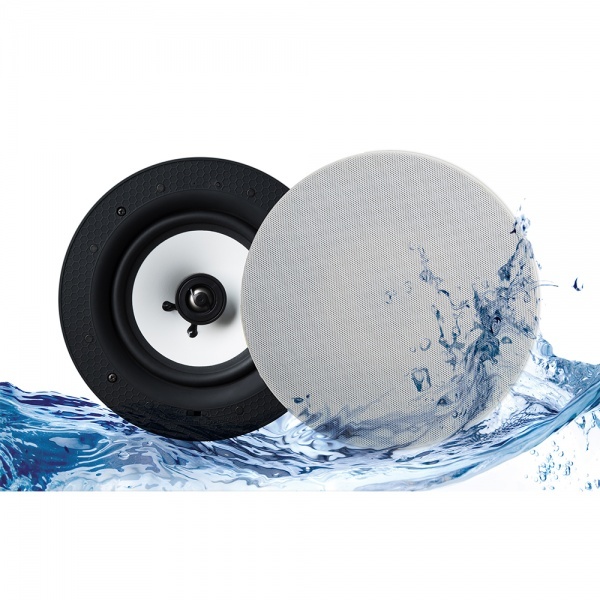 With our bathroom adapted ceiling speakers you can do just that, and with no water damage! 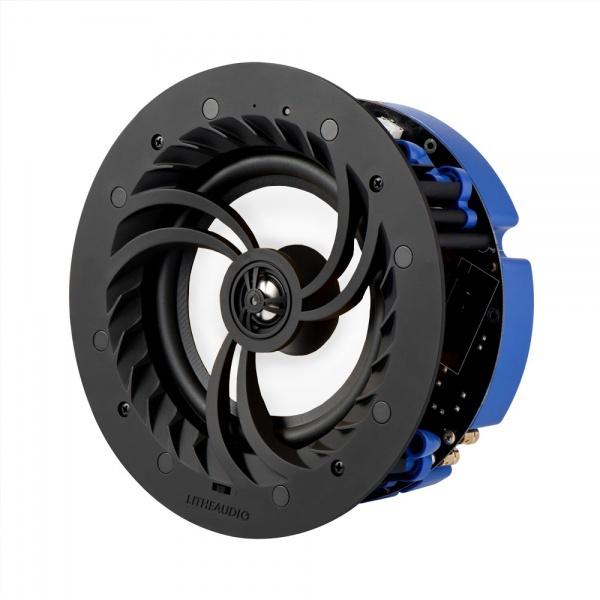 Our designers - themselves keen shower singers - have worked hard to create the perfect bathroom speaker solution. And by mounting the speakers on the ceiling, you can splash around as much as you want! 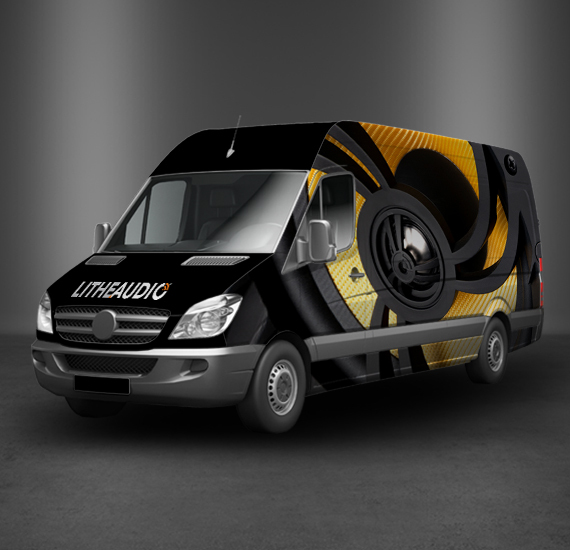 Whether you're unwinding in the tub or belting out your favourite power ballad in the shower, let Lithe Audio provide the accompaniment. 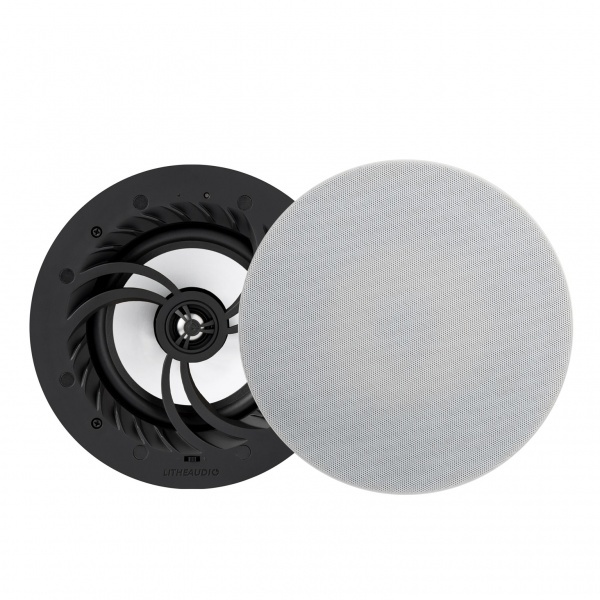 With their IP44 rating, these stunning bathroom ceiling speaker prevent water intrusion, all the while offering superb audio clarity for your bathroom listening. Boasting a Woofer and tweeter within the same unit, these speakers offers a superb range and deliver crystal clear audio for your bathroom. Simply connect your device via bluetooth, pick a suitable track, and turn your bathroom into a jukebox. 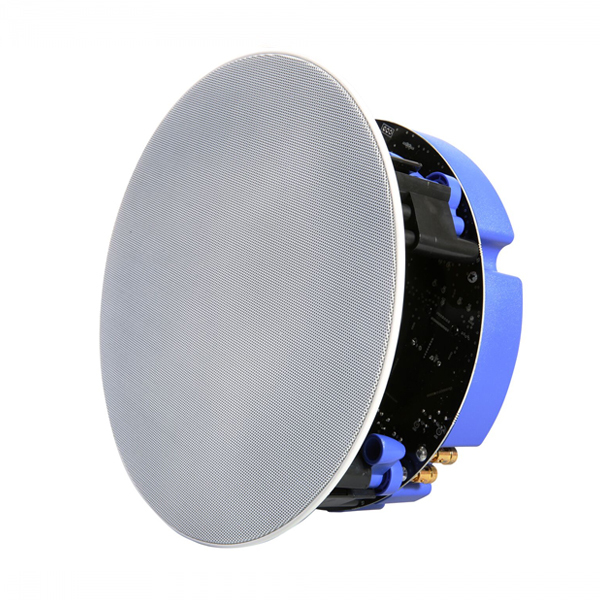 Our bathroom speakers are incredibly easy to install. 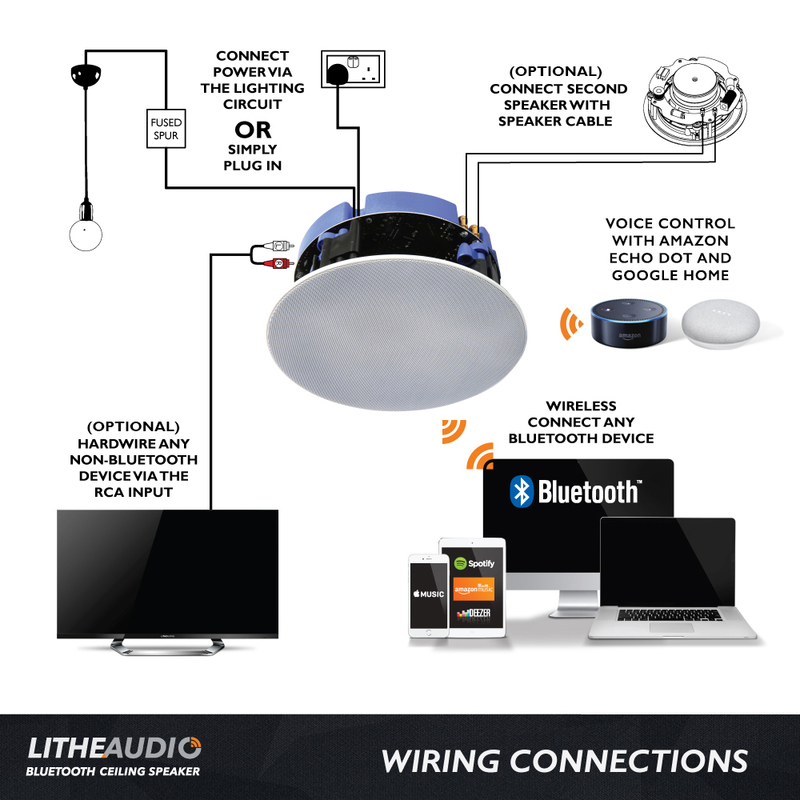 Connect your Bluetooth ceiling speaker via the lighting circuit running round your ceiling, and you have power. Hook up your phone and get ready for the ultimate shower sing-a-long session.